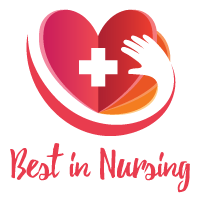 Dr. Linda Strong of Sacred Heart University has been recognized as a “Leader in Nursing” among “America’s Best Nurses” for 2017. She will be sharing her knowledge and expertise in Public Health Nursing and Emergency Preparedness. With over forty years in the healthcare industry, Dr. Strong serves as an asset in her role as the Director of the RN-BSN and MSN Program at Sacred Heart University. Considered the second-largest Catholic university in New England, Sacred Heart University was founded in 1963 in Fairfield, Connecticut. Built on the tradition of Judeo-Christian ethical values, SHU is committed to truth and justice, service to others, intellectual support and nurturing. As the Director of RN-BSN and RN-BSN/MSN Nursing Programs at Sacred Heart University for over 10 years she has been a faculty member at Sacred Heart University for twenty-five years. Dr. Strong offers insight on geriatrics and vulnerable populations. Her day-to-day responsibilities include curriculum development, program development, faculty management, inter-professional education and practice, and providing outreach care to underserved populations. Throughout the course of her education, Dr. Strong earned her EdD from the Teachers College of Columbia University in 1996. In 1980, she received her Master of Science in Nursing in Community/Public Health Nursing from The Catholic University of America, and in 1976 earned her Bachelor of Science in Nursing from The University of Bridgeport. Dr. Strong attributes her level of success to the passion for helping people, placing her patients in first place, being a lifelong learner, and loving to teach. She pursued a career in Public Health Nursing after a course in her final semester in nursing school. Through her perseverance and hard work, Dr. Strong advanced through various roles such as a nursing faculty member to becoming the Director of RN-BSN and RN-BSN/MSN Nursing Programs at Sacred Heart University. Due to her commitment to the field of Nursing, Dr. Strong is the recipient of the Joseph A. Grau Award for Social Justice, State of Connecticut Community-Campus Recognition, Healthcare Heroes Award, CT National Association of Hispanic Nursing Award, Excellence in Nursing Award (Nightingale), AACN & John A. Hartford Award-Special Recognition for Curriculum in Gerontologic Nursing, and the U.S. Public Health Service Certificate of Appreciation for Outstanding Volunteer Service. As the recipient of the Outstanding Volunteer Award from the New England Medical Reserve Corps (MRC), Dr. Strong has been recognized for her efforts to provide support to local public health department in times of disaster by the Stratford (CT) Department of Health. Her unwavering dedication extends to service learning experiences with the Lakota Sioux Community in La Plant, South Dakota, people in El Salvador, and Latinos, African-American women and men from the inner cities of Bridgeport, Connecticut. Dr. Strong maintains affiliations with the following organizations: American Public Health Association (Public Health Nursing Section), Connecticut Public Health Association, Connecticut Association of Public Health Nurses, Association of Community Health Nurse Educators, American Nurses Association, Sigma Theta Tau International, and Sigma Theta Tau Mu Delta Chapter. She volunteers with the MRC Sacred Heart University, Region 1 Ct., Aging with Grace Elderly Health and Wellness Program. Among her many accomplishments, Dr. Strong is most proud of a written peer-reviewed articles such as the Art of Nursing Interdisciplinary Collaboration and Public Health Care. 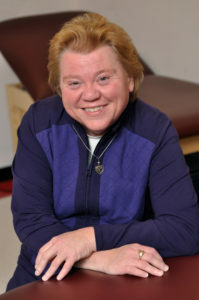 Looking toward future, Linda hopes to continue developing the clinic and new Public Health Nursing Research programs at Sacred Heart University. In her free time, she enjoys gardening, traveling, and reading.